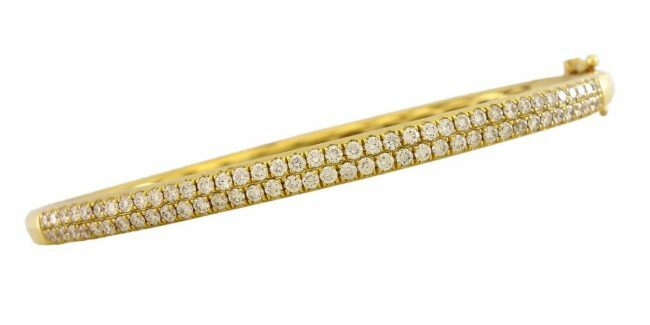 This intriguing diamond bracelet is made from 18k yellow gold. 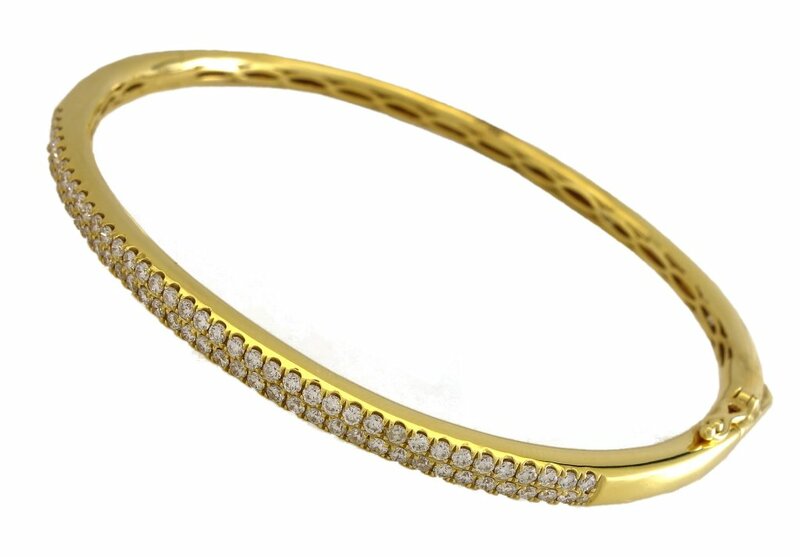 This diamond bracelet is a timeless treasure and is a perfect piece for an expensive outfit. The diamonds in this jewel have been set by hand by an experienced setter using a technique involving a microscope for high precision. 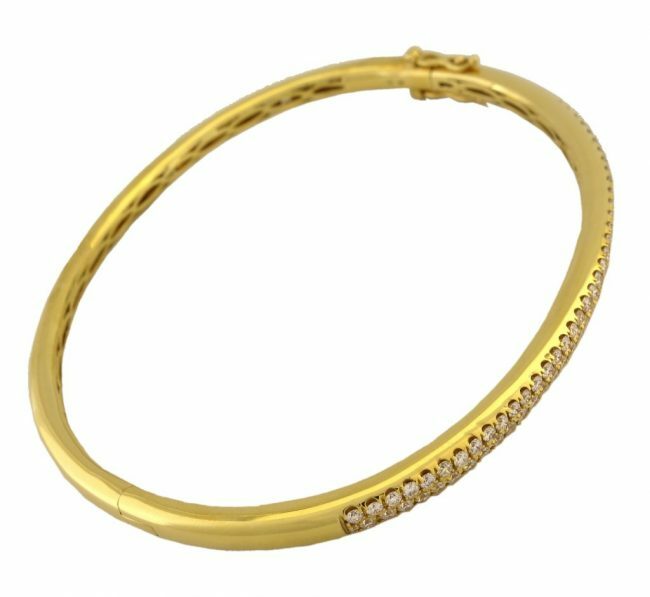 All of our shipments are shipped insured, for free, without taxes and come with a 30-day money back guarantee.